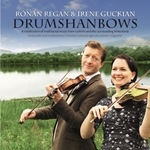 Win Rónán Regan and Irene Guckian's Drumshanbows Album! 'Drumshanbows' is a fun name which represents a kind of fulcrum of the musical styles of Irish musicians Rónán Regan and Irene Guckian, which came about as they met and formed their musical alliance and friendship in Drumshanbo, Co. Leitrim, where they both teach fiddle at the annual Joe Mooney Summer School (18-25 July 2015). 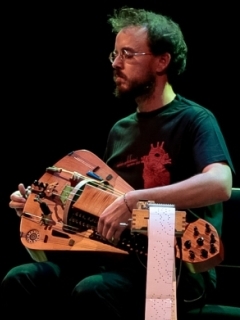 Rónán Regan is a traditional Irish musician and dancer, composer and choreographer from Salthill, Galway. He currently lives in Galway dividing his time between teaching on Inis Mór, Árainn where he is a primary teacher in the local Scoil Lán Gaeilge and in Galway where he is immersed in music and dance projects. Rónán Regan wrote his MA thesis on the musical styles of North Leitrim, most specifically on the music of Ben Lennon and Jim Connolly. 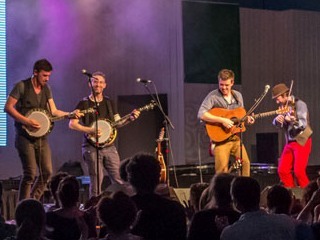 The North Leitrim style has a splendid lyrical bounce and a percussive, rhythmic characteristic, which appeals to Rónán’s dancing sensibility. Irene Guckian has a deep interest in the music of her homeland, which incorporates South Leitrim and Longford, historically known as 'Conmhaicne'. Irene wrote her thesis on the music and manuscripts of 'Conmhaicne'. The music of 'Conmhaicne' has much of the lifty, flowing style and expressive ornamentation associated with the neighbouring counties of Sligo and Roscommon. As well as gaining the title 'Michael Coleman International Fiddler of the Year', Irene's accolades include All-Ireland Fleadh medals in slow air playing on fiddle and flute. Thanks to Rónán and Irene, FolkWorld is able to raffle off several "Drumshanbows" CDs. Just send an email to raffle@folkworld.eu with the subject Win Drumshanbows CD! We will draw the lot and notify the winners in late September 2015. Shirley Collins (*5 July 1935, Hastings, East Sussex, UK). The British folksinger was a significant contributor to the English Folk Revival of the 1960s and 1970s. She often performed and recorded with her older sister Dolly on piano and portative organ. In 1964, she recorded the landmark jazz-folk fusion of "Folk Roots, New Routes", with guitarist Davy Graham. Collins's seminal recording is considered to be "Anthems in Eden", released in 1969. It featured a suite of songs centred on the changes in rural England brought about by the First World War. Dolly Collins created arrangements featuring various Early Music artists. Collins retired from public performance in the late 1970s, although she continues to lecture and to appear on radio as an authority on traditional music. "Notes in the Living Stream"
On Sunday 5th July, Shirley Collins' 80th birthday will be celebrated by a day-long event at the Southbank Centre, London. Free foyer entertainment will be provided by Brighton Morris, the Belles of London and Rattle on the Stovepipe. During the afternoon Shirley will be 'in conversation' with Stewart Lee looking back over her life and music, alongside readings from her writings and footage from the Alan Lomax archive. Under the musical directorship of John Kirkpatrick the evening concert will feature an array of the folk scene’s brightest stars performing songs from Shirley’s repertoire and recreating her "No Roses" album. Guest performers will include Olivia Chaney, Graham Coxon, Lisa Knapp, Sam Lee, Alasdair Roberts and Trembling Bells. Jackie Daly (*22 June 1945, Kanturk, North Cork, Ireland). 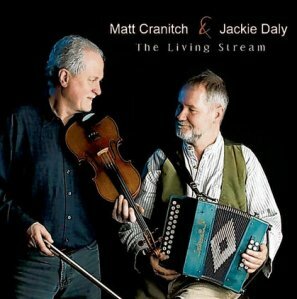 Born and raised in the area known as Sliabh Luachra, SW Ireland, Jackie Daly is one of the foremost living exponents of the distinctive music of that region. The button accordion and concertina player has been a member of a number of prominent traditional Irish music bands, including De Dannan, Patrick Street, and Arcady. His musical career is also notable for partnerships with several fiddlers, including Séamus Creagh, Kevin Burke, Séamus and Manus McGuire, Máire O'Keeffe, and lately Matt Cranitch, and set the standard for accordion and fiddle recordings. Mísia (*18 June 1955, Porto, Portugal). Susana Maria Alfonso de Aguiar, called Mísia, is a Portuguese fado singer. Her mother was Spanish and used to be a cabaret dancer, which accounts for many of the influences that shaped her music: tango, bolero, the use of Portuguese guitar with accordion, violin and the piano. Throughout her career, Mísia modernized Amália Rodrigues's fado, shocking orthodox audiences by adding to the traditional instruments (bass guitar, classical guitar and Portuguese guitar) the sensuality of the accordion and the violin, and borrowing lyrics by popular Portuguese writers and poets. Peggy Seeger (*17 June 1935, New York City, USA). The American folksinger is well known in Britain, where she has lived for more than 30 years and was married to the singer and songwriter Ewan MacColl until his death in 1989. 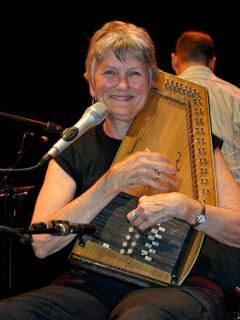 After 16 years of living back in the USA, Peggy Seeger moved back to the UK in 2010 in order to be nearer to her children and now lives near Oxford. Peggy's song "Swim to the Star", co-written with her son Calum, was awarded Best Original Song at this year's BBC Radio 2 Folk Awards. Several of the lines in the song are inspired by eye-witness accounts the sinking of the Titanic, set within a dream-like arrangement to echo the movement of a boat on the sea. "The Devil and his Dealing"
Kieran Halpin (*4 June 1955, Ireland). Often his songs are better known than the writer himself, some songs have been translated into German, Finnish and Spanish. Kieran Halpin's acoustic/folk songs such as "Sister and Brother" have been covered by the likes of Vin Garbutt, Dolores Keane, The Battlefield Band, John Wright, Niamh Parsons, Chris Jones and many more.. 2015 sees the release of Halpin’s 20th album, "It’s Always 3.15. ", just guitar and vocal. Tommy Emmanuel (*31 May 1955, Australia). The virtuoso guitarist is best known for his complex fingerstyle technique, energetic performances and the use of percussive effects on the guitar. By the age of six, Tommy Emmanuel was a working professional musician. His father created a family band and took his family on the road in two station wagons touring Australia. By the late 1970s, Emmanuel was doing session work on numerous albums and jingles. In recent years he has carved out his own style as a solo artist, releasing award winning albums. In the May 2008 and 2010 issues of Guitar Player Magazine, he was named "Best Acoustic Guitarist" in their readers' poll. Although Emmanuel's playing incorporates a multitude of musical influences and styles, Chet Atkins’ country fingerstyle of playing bass lines, chords, melodies and harmonies simultaneously using the thumb and fingers of the right hand is at the core of his technique. Bruce Cockburn (*27 May 1945, Ottawa, Ontario, Canada). The career of the Canadian guitarist and singer-songwriter spans over 40 years. 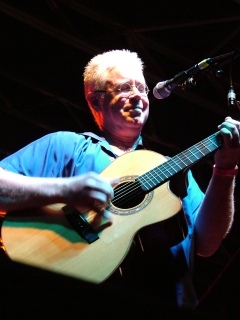 Bruce Cockburn's first solo appearance was at the Mariposa Folk Festival in 1967, and in 1969 he was a headliner. In 1970 he released his self-titled solo album. Cockburn's guitar work and songwriting won him an enthusiastic following. His song styles range from folk to jazz-influenced rock and his lyrics cover a broad range of topics that reveal a passion for human rights, politics and spirituality. His internationalist bent is reflected in the many world music influences in his music, including reggae and Latin music. Rosanne Cash (*24 May 1955, Memphis, Tennessee, USA). The eldest daughter of country music icon Johnny Cash and his first wife (born just as her father was recording his first tracks at Sun Records) is often classified as a country artist, but her music draws on many genres, including folk, pop, rock, blues, and most notably Americana. In the 1980s, Rosanne Cash had a string of chart-topping singles, which landed on both the country and pop charts. Mary Black (*23 May 1955, Dublin, Ireland). The Irish singer is well known as an interpreter of both folk and contemporary material which has made her a major recording artist in her native Ireland, and in many other parts of the world. She had toured with traditional Irish music band De Dannan around Europe and in the US until 1986. The 2014/15 "Last Call" tour with her daughter Róisín O is billed as Black's final international tour although she intends to continue singing. Her autobiography "Down the Crooked Road" was published in October 2014. Luka Bloom (*23 May 1955, Newbridge, County Kildare, Ireland). In 1969, fourteen-year-old Kevin Barry Moore embarked on a tour supporting his eldest brother, Christy Moore, at various English folk clubs. In 1977, Barry Moore toured Germany and England as part of the group Inchiquin. In 1987, Moore moved to the United States and began performing using the stage name of "Luka Bloom" (chosen from the title of Suzanne Vega's song and from the main character in James Joyce's novel "Ulysses"). Bloom's early albums showcased his frenetic strumming style; having played guitar using a finger-picking technique, he was afflicted with tendinitis — forcing him to learn to play with a plectrum. 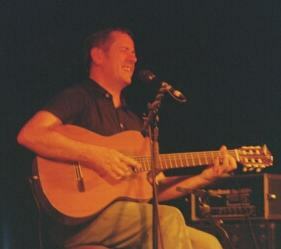 Alasdair Fraser (*14 May 1955, Clackmannan, Scotland). Living in northern California, the Scottish fiddler has been a major force behind the resurgence of traditional Scottish fiddling in his homeland and the United States. Through two summer programs that he founded nearly two decades ago - the Valley of the Moon Scottish Fiddling School in California and a week-long course on the Isle of Skye - Alasdair Fraser has inspired hundreds of musicians. Fraser performs in concert as a soloist, with pianist Paul Machlis, guitarist Tony McManus, and his band Skyedance. In recent years, with cellist Natalie Haas, he has helped reconstruct and revive the Scottish tradition of playing dance music on violin and cello ("wee fiddle" and "big fiddle"). Christy Moore (*7 May 1945, Newbridge, County Kildare, Ireland). Christopher Andrew "Christy" Moore was named as Ireland's greatest living musician in RTÉ's People of the Year Awards. His first album, "Paddy on the Road", was recorded with Dominic Behan in 1969. 1972 brought his first major release, "Prosperous," which brought together the four musicians who shortly thereafter formed the traditional Irish music group Planxty: Liam O'Flynn, Andy Irvine and Dónal Lunny. After leaving Planxty in 1975, Moore continued on his solo career. He also formed the band Moving Hearts with Lunny and other musicians in 1980. Moore's earlier years of continual travelling and heavy drinking resulted in a decline in health and several heart operations. At the end of the 1990s, Moore reduced his workload drastically. Moore is best known for his political and social commentary which reflects a left-wing, Irish republican perspective. Johnny McEvoy (*24 April 1945, Banagher, County Offaly, Ireland). The Irish singer and entertainer's big break came in 1966 when he recorded the old ballad "Mursheen Durkin". It topped the charts at Number 1 for three consecutive weeks. The year after he had another Number 1 Hit with the song "Nora" (a version of "When You and I Were Young, Maggie"), from Sean O'Casey's famous play "The Plough And The Stars". Johnny McEvoy went on to write numerous more songs, many of which have become standards that have been recorded by other artists in the Country and Irish genre. Stefan Grossmann (*16 April 1945, Brooklyn, New York, USA). The acoustic fingerstyle guitarist's interest in the folk revival was sparked by attending the Washington Square Park "Hoots". Stefan Grossman took guitar lessons for several years from Rev. Gary Davis. In 1964, Grossman and a group of friends formed the Even Dozen Jug Band, ft. David Grisman, Steve Katz (Blood, Sweat & Tears), John Sebastian (The Lovin' Spoonful), Joshua Rifkin and Maria Muldaur. At the same time, he was beginning his career as a guitar teacher. He produced and released one of the earliest guitar instructional LPs, "How To Play Blues Guitar," and began the publication of a five volume series of instructional books called the "Oak Anthology of Blues Guitar". In 1967, Grossman travelled to Europe and came in contact with many other fine guitarists, but few of them had record deals. Over the next few years his Kicking Mule Records released albums by artists such as Happy Traum and Peter Finger. Grossman also released his own original and instructional albums. He was quick to see the potential of video as an instructional tool, and also began to acquire concert footage of the old blues and country artists who had been rediscovered in the 1960s. Almost all of this material (both instructional and concert) has in the last few years been re-issued on DVD. Liam O'Flynn (*15 April 1945, Kill, County Kildare, Ireland). 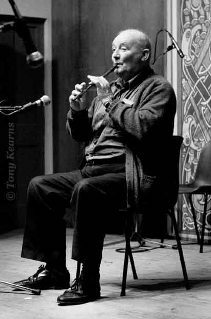 Liam O'Flynn is acknowledged as Ireland's foremost exponent of the uilleann pipes and has brought the music of the instrument to a worldwide audience. At the age of 11, O'Flynn began taking classes with Leo Rowsome. In addition to a solo career and his work with the group Planxty, O'Flynn has recorded with many international musical artists, including Kate Bush, Mark Knopfler, Emmylou Harris, Mike Oldfield, Mary Black, Enya and Sinéad O'Connor. He also worked on projects with Seamus Heaney, mixing poetry with music. In 2007, O'Flynn was named Musician of the Year at the TG4 Gradam Ceoil Awards. Ritchie Blackmore (*14 April 1945, Weston-super-Mare, Somerset, UK). The British guitarist and songwriter began his professional career as a session musician. Blackmore was one of the original members of Deep Purple, playing jam-style rock music which mixed simple guitar riffs and organ sounds. During his solo career, he established a neo-classical metal band called Rainbow which fused medieval and baroque music influences and elements of hard rock. In 1997 Blackmore, with his girlfriend Candice Night as vocalist, formed the traditional folk rock project Blackmore's Night. The band's musical style is inspired by Renaissance music and blends with Night's lyrics about love themes. To date Blackmore's Night have released eight studio albums. A new release, "All Our Yesterdays," is scheduled for summer 2015. Coming this fall is a DVD documentary on the musical journey of Ritchie Blackmore and a lullabies CD from Candice Night. Ronnie Gilbert has died at 88. She of course was the voice one always heard in one's head when one thought of the song Goodnight Irene. Not Lead Belly's voice but her sweet tone ... along with her fellow members of The Weavers. The guitar you hear is from the last surviving Weaver ... Fred Hellerman. The great Scots Gaelic singer Flora McNeil has died at 86. She hailed from Barra in the Outer Hebrides. I cannot say that I find Scots and Irish Gaelic as easy on the ear (as a SPOKEN language) as say, Portuguese or Esperanto. But put to music, it is transformed ... And this woman in particular, made it sound the language of songwriters! Guy and Candie Carawan got a Lifetime Achievement Award from the International Folk Alliance in 2009. Guy is most famous for bringing the song We Shall Overcome to the attention of the Civil Rights Movement. He has just died at 87. 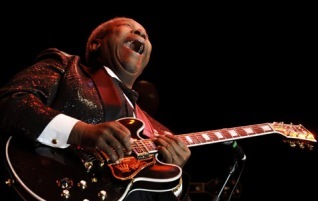 BB King !!! WHAT a man !!! WHAT a human being !!! Not just a great musician. From the cotton fields of Mississippi where he was picking cotton at 9 just like his slave grandparents, to playing in The White House. That is some journey! Here is that famous gig with Jagger and President Obama on vocals. John Renbourn has died at 70. He was a sublime guitarist, though for me at least, his vocals were on the understated side of understated. Here he is from about 10 years ago, teaching people to play Lady Franklin's Lament. Jean Ritchie (1922-2015). The Ritchies of Perry County were one of the two "great ballad-singing families" of Kentucky celebrated among folk song scholars. After World War II Jean Ritchie befriended Alan Lomax, who recorded her extensively for the Library of Congress. She joined the New York folksong scene and Elektra Records signed her and released three albums. Ritchie became known as "The Mother of Folk". As well as work songs and ballads, Ritchie knew hymns from the Baptist church she attended. Ritchie preferred to sing without instrumental accompaniment, but occasionally she also accompanied herself on autoharp, guitar and handmade plucked lap or mountain dulcimer. In 2002, Ritchie received a National Endowment For The Arts National Heritage Fellowship, the Nation's highest honor in the folk and traditional arts. In 2009, Ritchie was hospitalized after suffering a stroke. She lived in Berea, Kentucky until her death on 1st June 2015. Wendell Holmes (1943-2015). The vocalist, guitarist, pianist and songwriter of the critically acclaimed soul/blues band The Holmes Brothers, died on June 19th of complications due to pulmonary hypertension. As youngsters in Christchurch, Virginia Wendell and his older brother Sherman listened to traditional Baptist hymns, anthems and spirituals as well as blues music. Sherman and Wendell met drummer Popsy Dixon, a fellow Virginian, at a New York gig in 1967. They continued to play in a variety of Top 40 bar bands until 1979, when the three officially joined forces and formed The Holmes Brothers band. The band toured the world, releasing 12 albums. In September 2014, The Holmes Brothers were honored with a National Endowment For The Arts National Heritage Fellowship. Flora MacNeil (1928-2015). The Scottish Gaelic singer died after a short illness on 15 May 2015, aged 86. Flora MacNeil was born on the island of Barra, one of Gaelic song’s most important strongholds. In the pre-television days, ceilidhs with the neighbours were a regular occurrence, and from earliest childhood she remembers “soaking up” literally hundreds of songs. By age four, she was already tackling the sophisticated poetry of "Mo Run Geal Og" (My Fair Young Love), one of the greatest of the “Big Songs”. MacNeil left Barra in 1947 to find work in Edinburgh. She found a public platform in the burgeoning round of ceilidhs and concerts that marked the first British folk revival. Discovered by Alan Lomax and Hamish Henderson, who recorded her singing, she continued to perform into her later years. Guy Carawan (1927-2015). The American folk musician and musicologist served as music director and song leader for the Highlander Research and Education Center in New Market, Tennessee since 1959. Guy Carawan is famous for introducing the protest song "We Shall Overcome" to the American Civil Rights Movement, by teaching it to the Student Nonviolent Coordinating Committee (SNCC) in 1960. He sang and played banjo, guitar, and hammered dulcimer. He frequently performed and recorded with his wife, singer Candie Carawan. B.B. King (1925-2015). According to E.M. Komara, Riley B. King, known by his stage name B.B. King, "introduced a sophisticated style of soloing based on fluid string bending and shimmering vibrato that would influence virtually every electric blues guitarist that followed." Nicknamed "The King of the Blues", Rolling Stone magazine ranked King number 6 on its 2011 list of the 100 greatest guitarists of all time. B.B. King died on May 14, 2015, in Las Vegas, Nevada. John Renbourn (1944-2015). 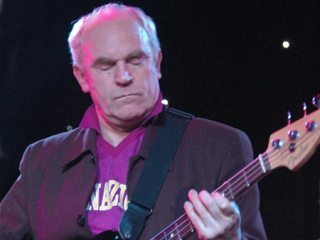 The English guitarist and songwriter died on 26 March 2015 from a heart attack at his home in Hawick in the Scottish Borders, aged 70. John Renbourn was possibly best known for his collaboration with guitarist Bert Jansch as well as his work with the folk group Pentangle. Jim McCann (1944-2015). 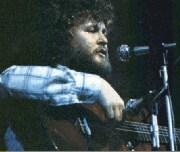 Although a solo artist for most of his career, James 'Jim' McCann was a member of the folk group the Dubliners from 1974 until 1979. In 2002, he was diagnosed with throat cancer. Although treatment for the illness was successful, the damage to his voice left him unable to sing. McCann's death was announced by his family on 5 March 2015. Clare County Library has launched its online Singers and Songs of County Clare from the Carroll Mackenzie Collection project, featuring over 400 songs from over 40 Clare singers, collected by Jim Carroll and Pat Mackenzie in London and West Clare over a period of 40 years. The online collection features transcriptions of song lyrics accompanying each recording and various playlists for easy listening, as well as articles on singers and the song tradition in County Clare. 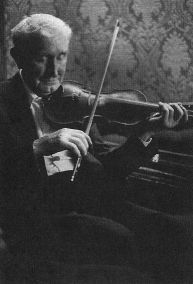 In September 2012, Clare County Library had launched the first part of its online "Music of Clare" section on the library website, featuring a selection of traditional Irish tunes commonly associated with County Clare, where people could listen to traditional tunes associated with County Clare, played by musicians who are from the county or who have lived in it for many years. Also included were transcriptions of the featured tunes, to help people learn the basic notes of the featured tunes. Featured singers include Martin Reidy (1901-1985) from Tullaghaboy, “a solitary bachelor eking out a living on his mountain farm after his parents had departed this world and the other members of the family had scattered to the four winds”; Michael ‘Straighty’ Flanagan (1893-1987) from Inagh, who was photographed by American photographer Dorothea Lange in the 1950s; and Tom Lenihan (1905-1990) from Knockbrack, Miltown Malbay, whose memory was such that “on a number of occasions, after a little probing, he faultlessly remembered and sang a song which he said he had not sung for some 40 years or more and had forgotten he ever knew”. The project is also enhanced by the addition of articles on singers and the song tradition, and by the inclusion of some of the all-too-few video recordings of Clare singers available on YouTube. 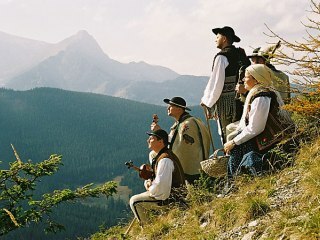 Traditional, Medieval, Contemporary, Folk Pop, Folk Rock, Folk Metal, Ethno Jazz, Worldmusic of all ethnic groups living in Poland. Also Ukrainians, Belorussians, Romany, Klezmorim, etc. All group members are invited to contribute to the group. When inserting videos or music samples (Youtube, Soundcloud, etc.) please provide additional information about the music, musicians and bands, preferably in English, as this group is intended also for foreigners (from a Polish perspective). Contributions that do not meet our standard will not be accepted. Wszyscy członkowie grupy są zaproszone do udziału w grupie. Wkładając filmy lub próbek muzycznych (Youtube, SoundCloud, itp) proszę podać dodatkowe informacje na temat muzycznych, muzyków i zespołów, najlepiej w języku angielskim, ponieważ grupa ta jest przeznaczona także dla obcokrajowców (z polskiej perspektywy). Składki, które nie spełniają nasze normy nie będą akceptowane. Należy pamiętać, że ta grupa nie jest przeznaczony przede wszystkim jako blog, ale to jest intencją tej grupy zbudować coś w rodzaju encyklopedii na temat muzyki ludowej w Polsce. "A More Than Worthy Recipient"
English traditional music is celebrated in the Queen's Birthday Honours as musician, songwriter and bandleader Ashley Hutchings is made an MBE for his services to folk music. Born in London but now living in Derbyshire, 70-year-old Hutchings was the driving force behind several famous bands including Fairport Convention, Steeleye Span and the Albion Band. These groups enlivened the folk scene by introducing rock instruments thereby opening up traditional music to a new and younger audience. Hutchings said: "I'm obviously very proud of this honour but it's England's musical tradition that's being recognised as much as me." In a career spanning nearly 50 years Hutchings has worked with a host of folk and folk-rock luminaries including Richard Thompson OBE, Martin Carthy MBE, Maddy Prior MBE, Shirley Collins MBE, John Tams and the late Sandy Denny (who described him as 'one of my biggest heroes; a great man'). During the 1970s, Hutchings worked with National Theatre director Bill Bryden composing the music to 'The Mysteries', 'Lark Rise to Candleford' and 'The World Turned Upside Down'. Education has also been an important element in Hutchings’ career. EMI commissioned him to put together an LP of traditional dance tunes specifically aimed at school children and he has conducted numerous workshops to introduce young people to England's folk song and dance. Hutchings has won numerous awards including the English Folk Dance and Song Society's Gold Badge Award, the Good Tradition Award at the BBC Radio 2 Folk Awards, and a Lifetime Achievement Award at Italy's Premio Ciampi. Hutchings was also the driving force behind Fairport Convention’s seminal album 'Liege & Lief' which was voted 'The Most Influential Folk Album of All Time' by BBC Radio 2 Listeners. The first elements of the programme for WOMEX 15 have been made official. Organisers announced the first conference sessions and first artists set to showcase at this year's World Music Expo, taking place from 21 - 25 October in Budapest, Hungary. Get a sneak peek of these artists by viewing the first WOMEX 15 showcase trailer! »The theme of XXIII Viljandi Folk Music Festival is FREEDOM. Similarly to previous years, this year's festival theme is inspired by the current situation of the folk music scene and the events taking place in the world. Every day, original songs are composed which are not directly based on traditional music but which still play around adventurously with the style elements of traditional music while being inspired by the vast world of sounds around us. You cannot go wrong with leaning on traditions and knowing your roots but you also have to notice what is going on around you at the very moment and know how to learn from it. Throughout times, people have valued singers and instrument players who have created songs and tunes which reflect on the present moment and touch people deeply by immortalising these events. When the folk music festival started 22 years ago, genuine folk music had to be mainly recreated based on archival tapes. The so-called folk revival aka folk music revolution took place and many youngsters got more interested in the heritage of their ancestors. Folk music became a means of expression for young people. At the moment, another revolution is taking place because another generation of musicians has grown up. These musicians acquired their skills in their early youth which is why traditional music is a very natural environment for them. Composing original songs which use traditional elements and are played with traditional instruments is just a natural next step for them. The use of different instruments and navigating between different modern genres of music reflects the contemporary situation where the traditional way of life is disappearing and folk music is looking for its place in the urban environment where diversity bears an impact on sensitive creative professionals. The current situation in the world makes us value the underlying pillars humanity. We need identity to feel special. Identity connects us to our language, land and people, which in turn creates the feeling of security which is necessary for inspiration. Our greatest wealth is the talent of our people and creative freedom which needs to be protected and developed attentively. The feeling of freedom is the greatest prerequisite for the emergence of creativity which in turn recreates identity and makes people more caring and confident - makes them better people. Looking to try a new festival and a new experience for summer 2015? Then look no further than ButeFest, this accessible and hugely friendly family festival taking place a mere thirty-five miles as the crow flies from Glasgow. 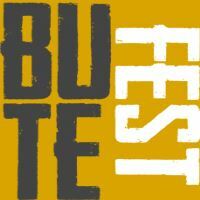 ButeFest has endeavoured to compile a richly varied line-up, ft. the Peatbog Faeries, the Treacherous Orchestra, Skerryvore, Merry Hell, We Banjo 3, and more! 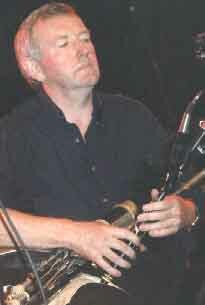 Andy M. Stewart has toured with Scottish folk group Silly Wizard until the band broke up in 1988. Since then, he has recorded four solo albums, as well as three with Manus Lunny. 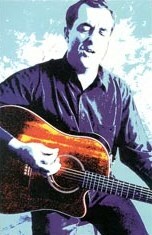 Several of Stewart's songs have become well-known within the folk community, including "The Ramblin' Rover", "The Queen of Argyll", and "The Valley of Strathmore". ANDY M STEWART is my brother. Mainly though, he will be known to many the world over as a singer/songwriter, a more public figure. In that professional role he has delighted and moved the hearts of many, has brought tears of laughter and joy, as well as evoking tears of sadness in those who have had the experience of seeing him perform on stage or who love listening to his music. His indomitable wit and flair for the comedic have always added much humour and levity to his shows spanning back to his days with SILLY WIZARD in the early '80s. His beautiful voice and poigniant songwriting have brought comfort and meaning to the lives and hearts of those who love his work and it is to those people that I now appeal and ask of you to please 'pay it forward' and bring some joy and comfort to this amazing man who so sorely needs it at this time. It's your turn to give! In the last four years Andy M's health has deteriorated to the extent that he has gradually lost his business and livelihood. Through a series of medical misadventures, and in September 2012 a failed spinal surgery, he has lost all mobility and was paralysed from the chest down with many other medical complications. Last September he had emergency surgery which he was not expected to survive, but he's a fighter and his spirit won through. He is now still recovering in hospital where he will remain for quite some time to come. Having lost so much my brother is facing a situation where he will need to leave his home and move to wheelchair friendly accommodation. He will need daily nursing care to assist his living. He does not 'meet the criteria' for entitlement to a motorised wheelchair because he has the use of his arms, even though this kept him housebound for many months. Except for when someone visits to help get him out of the house that's what he will go back to. There are many new and amazing treatments availabile now for spinal injuries that I'd love to be able to raise money to get for my brother, but at the moment I would just be overjoyed for him if I could help raise the money to improve the quality of his life. So small steps - please help raise the money for a motorised wheelchair. Listen to his beautiful voice in the link I have posted and experience once again the enjoyment it has brought to so many - a voice that is all but lost now too due to the paralysis of his diaphragm. Please give back to someone who has spent his life creating beauty for others. I thank you all in anticipation of your kindness, care and generosity of spirit. Please have a look @ www.youcaring.com/medical-fundraiser/help-andy-m-get-mobile-/318806! FolkWorld contributor David Hintz's entire Folk Record Collection is up for sale - folk, psychedelic folk, prog-folk, acid folk, folk rock, and some psychedelic rock. These are some of the classics from around the world, mostly from 1965-1981. Please check it out @ hintzde1.wix.com/dehintzcollection!